Better not let your granny go down Alabama highways, she might get 'blitzed' by 'Troopers'. 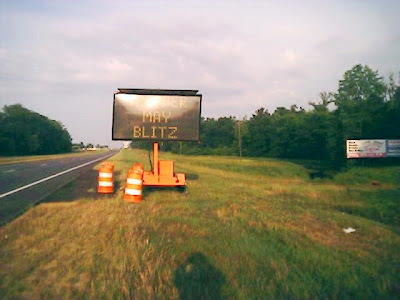 The Alabama Highway Patrol has posted huge orange signs, the kind that warn of road work, on the side of the highway near my house warning, "Troopers May Blitz". The last troopers I heard of blitzing were Nazi StormTroopers. 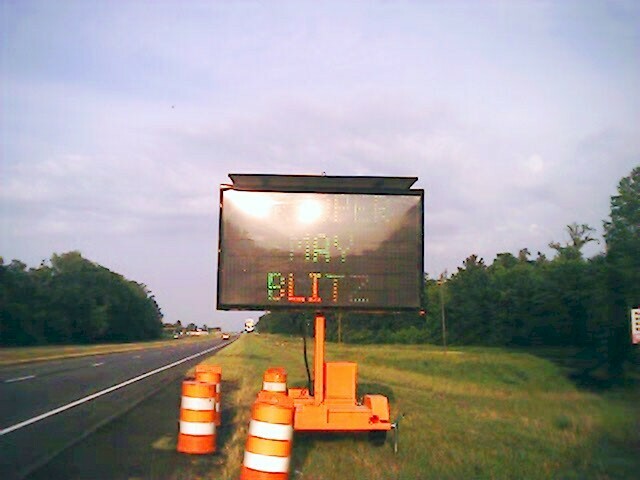 What does that even mean? 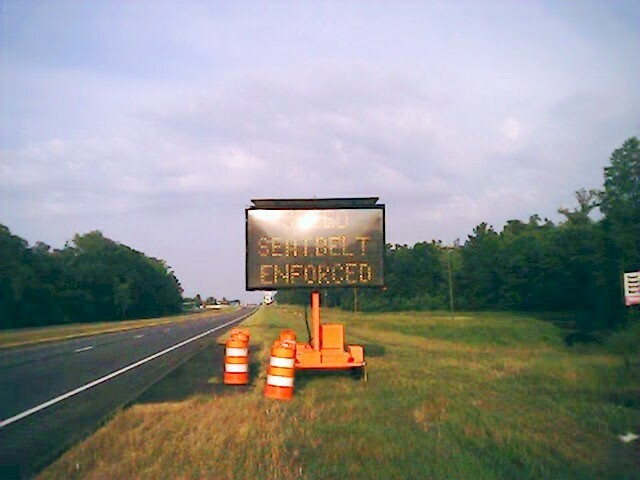 The alternate flashing sign reads, "Seatbelts Enforced", so the sign really reads, "Seatbelts Enforced, Troopers May Blitz."